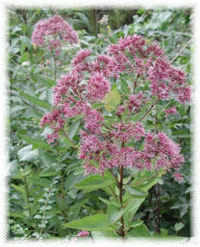 Joe Pye weed is named after a legendary Indian healer who used a decoction of the plant to cure typhus fever in colonial America. Native tribes used gravel root as a healing tonic included relieving constipation, washing wounds with a strong tea made from the root to prevent infection and as a general tonic taken during pregnancy and after childbirth. 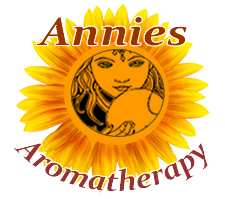 Use as a pregnancy tonic is not recommended by herbalists today. The common name gravel root, reflects its main use as a diuretic used to treat urinary infections and stones (gravel). Flowers: Pale or dull magenta or lavender pink, slightly fragrant, of tubular florets only, very numerous,in large, terminal, loose, compound clusters, generally elongated. Several series of pink overlapping bracts form the oblong involucre from which the tubular floret and its protruding fringe of style-branches arise. 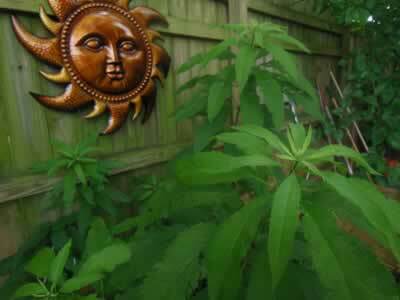 Stem:3 to 10 ft. high, green or purplish, leafy, usually branching toward top. Leaves:In whorls of 3 to 6 (usually 4), oval to lance-shaped, saw-edged, petioled, thin, rough. Preferred Habitat:Moist soil, meadows, woods, low ground. Distribution:New Brunswick to the Gulf of Mexico, westward to Manitoba and Texas. Towering above the surrounding vegetation of low-lying meadows, this vigorous composite spreads clusters of soft, fringy bloom that, however deep or pale of tint, are ever conspicuous advertisements, even when the golden-rods, sunflowers, and asters enter into close competition for insect trade. Slight fragrance, which to the delicate perception of butterflies is doubtless heavy enough, the florets' color and slender tubular form indicate an adaptation to them, and they are by far the most abundant visitors, which is not to say that long-tongued bees and flies never reach the nectar and transfer pollen, for they do. But an excellent place for the butterfly collector to carry his net is to a patch of Joe-Pye Weed in September. Joe-Pye, an Indian medicine-man of New England, earned fame and fortune by curing typhus fever and other horrors with decoctions made from this plant.